The Community encourages the enjoyment of outdoor activities. Each season of the year allows to practice specific sports. The initiative 'Madrid, Actívate! ' allows multitud outdoor activities in the Community of Madrid, regardless of the season of the year. In primavera highlight those related to the trails, del cicloturismo and forests. More than 4,000 km cross all the municipalities and, in many cases, pass through protected areas of great natural value. Hiking, climbing, cycling, canyoning and canoeing are some of the most attractive offers. En verano nautical activities take center stage. You can enjoy the reservoirs of the mountains, the slopes of the Guadarrama and take advantage of the long days of the summer: piragüismo, paddle surf and night hiking copan the offer of this time of the year. En otoño the days are s shorter and the Community landscape takes another color. A good time to ride horses, visit the Patones Caves or practice climbing. They are activities to not stop enjoying the nature of Madrid, without forgetting the markets and gastronomic events. La arrived from the cold is not an excuse to leave the outdoor sport in the region of Madrid. It is time to take advantage of sports leisure related to snowy landscapes and the fall of temperatures: ski and snowshoe are protagonists of the winter season Valdesquí station, in Puerto de Cotos and Navacerrada, among other places iconic of the sierra madrileña. 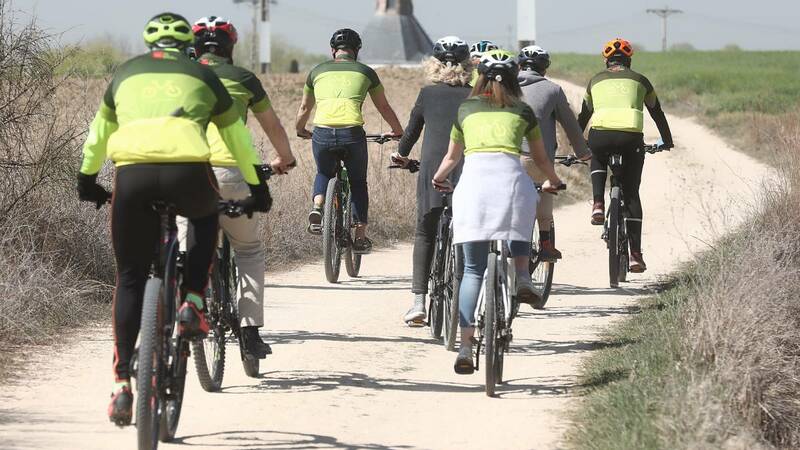 La Comunidad de Madrid offers different proposals and allows you to know the natural environment of the region of Madrid in a different, healthy and very funny. A very interesting bet to make active tourism with family or friends and with all the facilities.